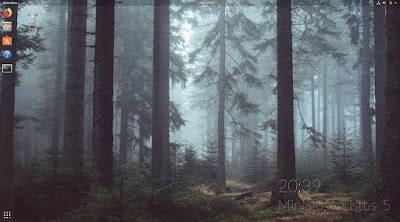 Linuxslaves.com - Looking for easy way to use animated wallpapers / parallax effect in your Ubuntu desktop?. 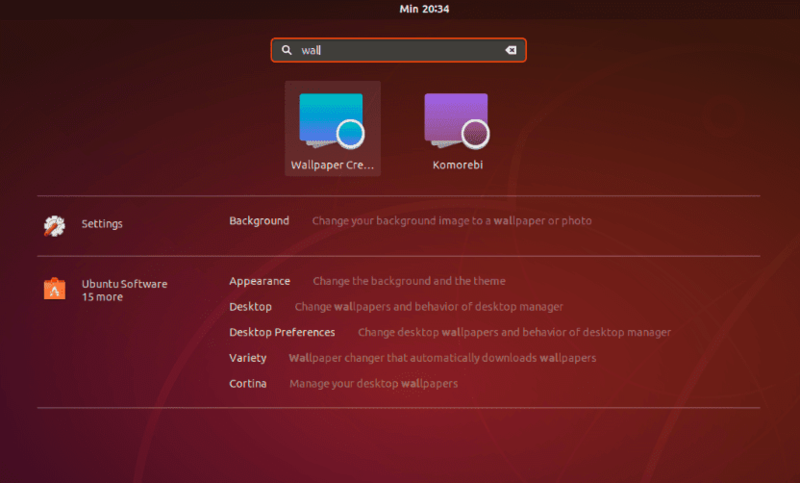 Well, today I'm gonna show you about a free and open source wallpaper application that lets you use live wallpaper on Ubuntu and other Linux distributions. 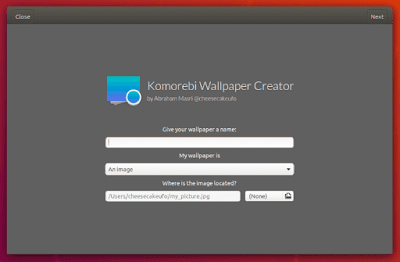 Komorebi is an awesome animated wallpapers manager for Linux made by Abraham Masri. The application provides fully customize-able image, video, and web page wallpapers that can be tweaked at any time. There’s a wallpaper creator feature that lets its users to create an animated wallpapers from pictures, videos, and web pages. That's a good thing thought!. There are .deb packages for both 32 bit and 64 bit systems. Sadly, the developer drops the 32 bit support for newer version (2.0 and higher). It still works for 32-bit, but you'll need to build it manually. Well, let me show you how to install in Debian and Ubuntu based systems like Linux Mint, Elementary OS, etc. Step 1 - Download the latest komorebi.deb from its release page. Note : Komorebi requires gstreamer1.0-libav in order to set video wallpapers. Once installed, open the app via launcher, app menu, Albert Launcher, or Unity Dash if you're an Ubuntu with Unity desktop user. To change desktop preferences or your wallpaper, right click anywhere on the desktop to show the menu. 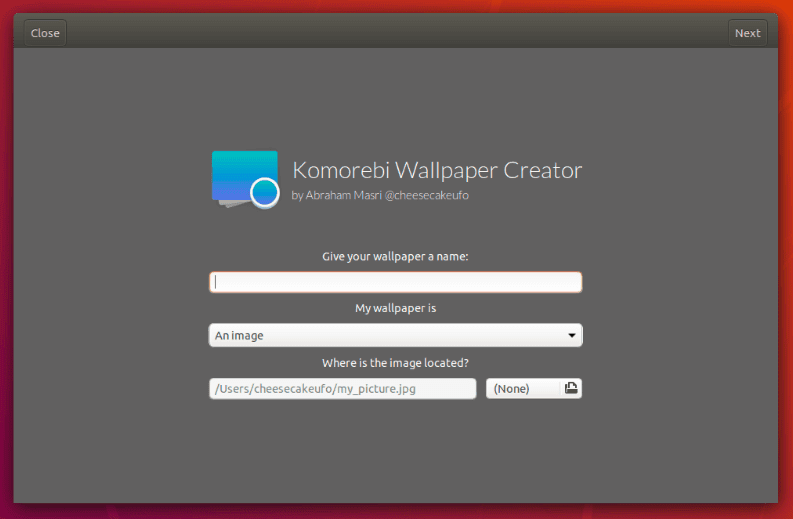 As I said earlier, Komorebi provides a simple tool to create your own wallpapers!. Simply, open your apps and search for Wallpaper Creator. You can use either an image, a video, or a web page as a wallpaper and you have many different options to customize your own wallpaper!. Komorebi includes support for video wallpapers that might slow your computer down. You disable support for video wallpapers in Desktop Preferences, uncheck the Enable Video Wallpapers, and restart the app (quit and re-open).